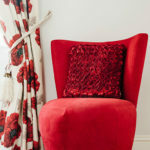 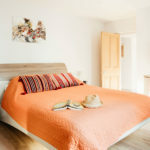 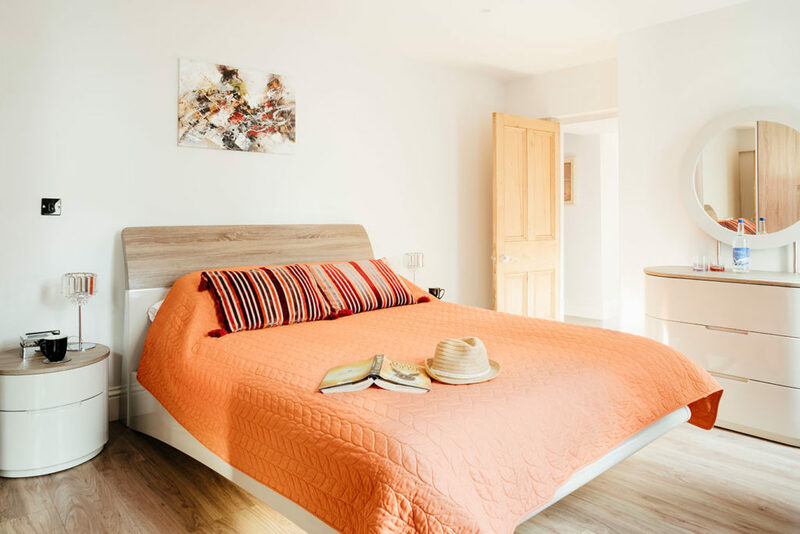 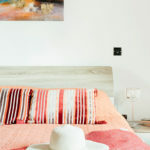 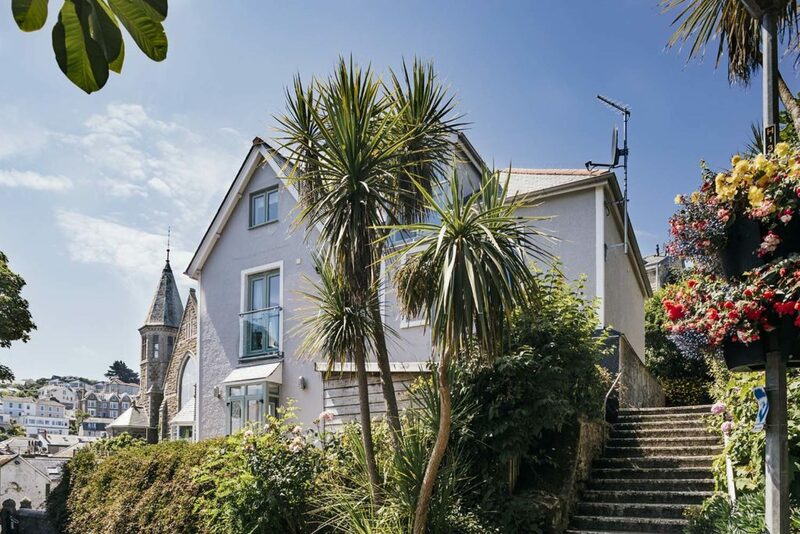 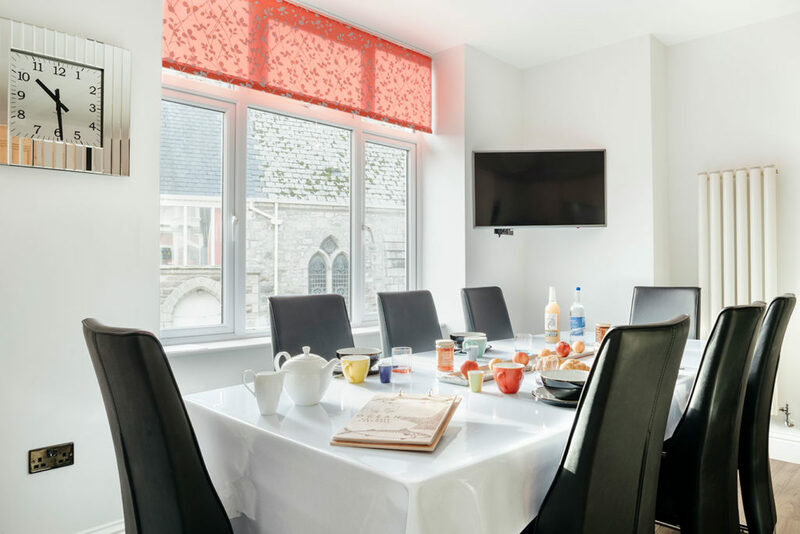 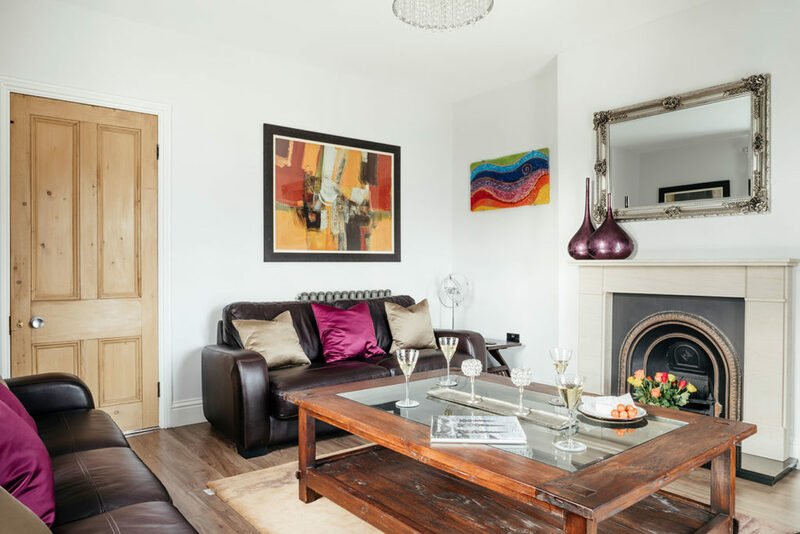 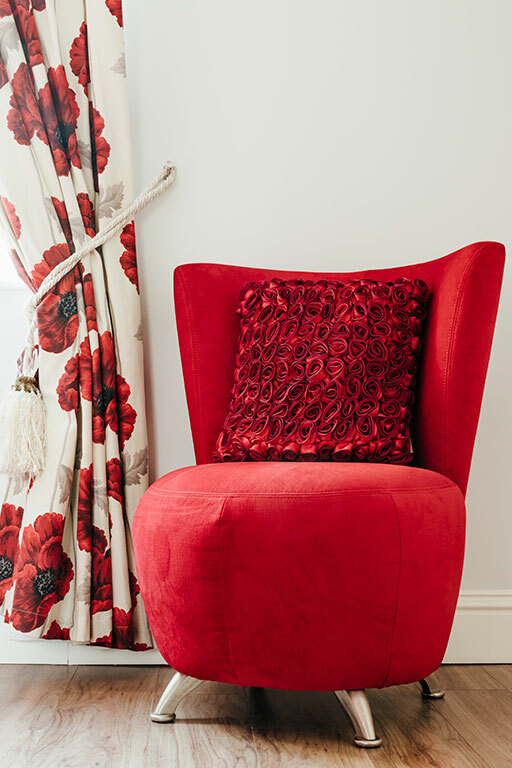 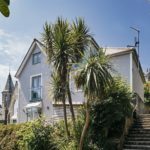 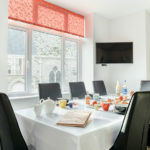 Central, bright and vibrant, 3 The Elms is not your standard St Ives holiday let. 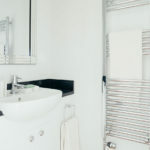 Drawing from Italian inspiration it oozes quality and has plenty of clever design quirks. 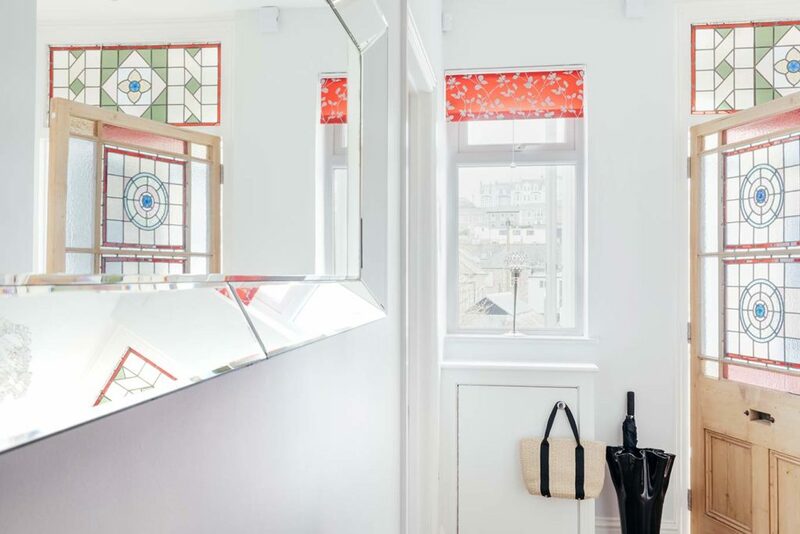 With it’s own large front door with stained glass you’ll instantly catch glimpses of the history of the building and it’s clever refurbishment. 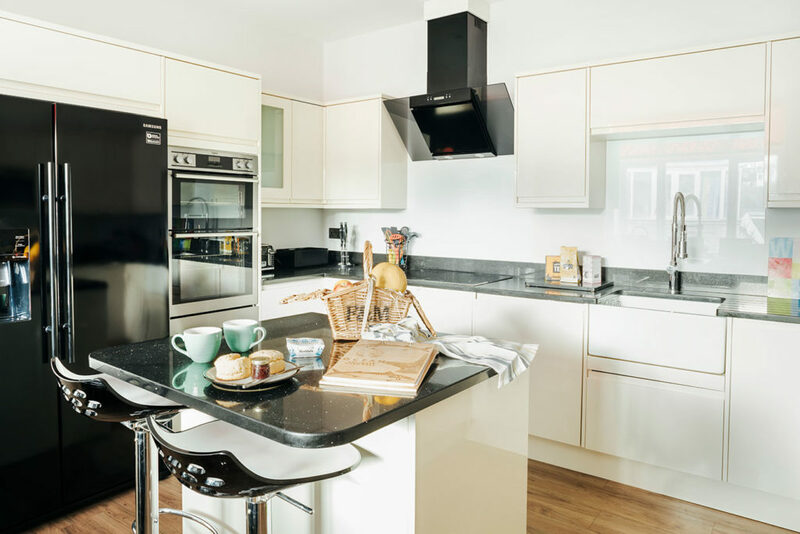 An apartment it might be yet with features usually found in houses, you’ll feel at home very quickly. 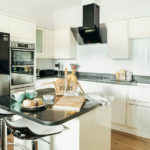 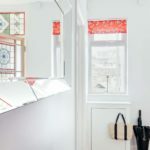 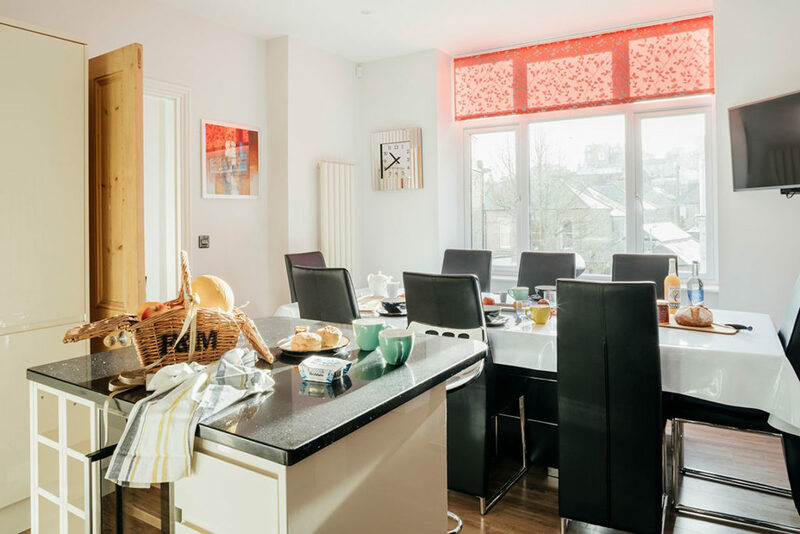 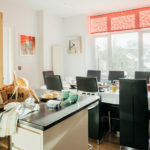 The kitchen dining area is open plan with a large dining table, quality appliances, American fridge freezer and all the mod cons – including an espresso machine of course to fit in with the theme. 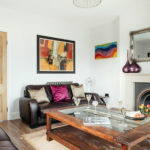 The living area across the hallway is a good size, with leather sofas, wooden floors, TV and DVD player. 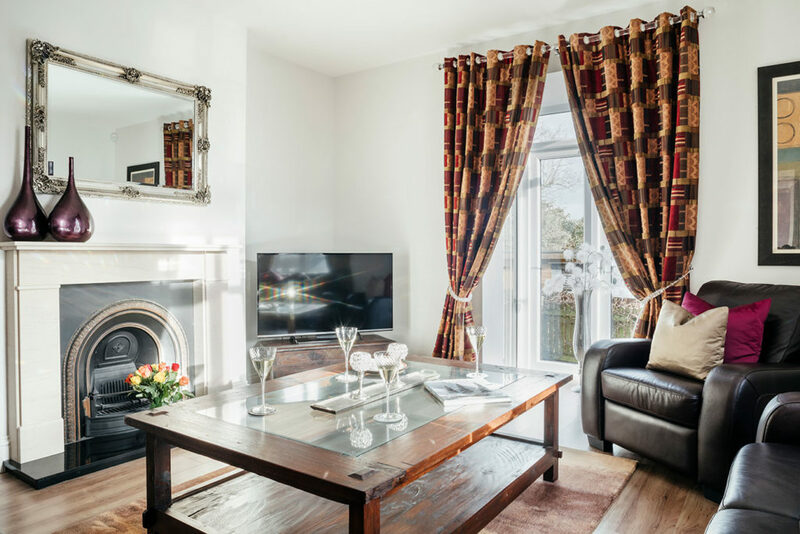 It’s a cosy space overlooking rooftops and Trewyn Gardens. 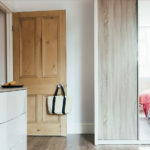 Move on down the hallway and you’ll find the utility room (with separate washing machine and dryer), this room also has access to a rear patio with washing line. 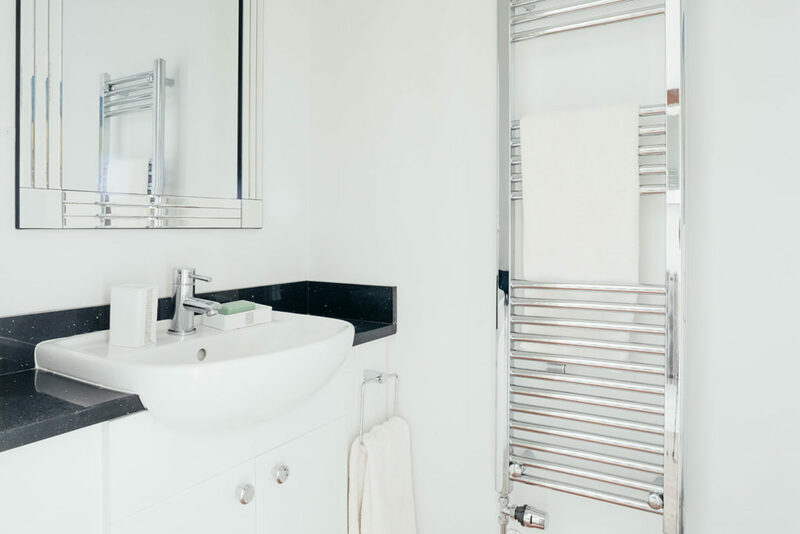 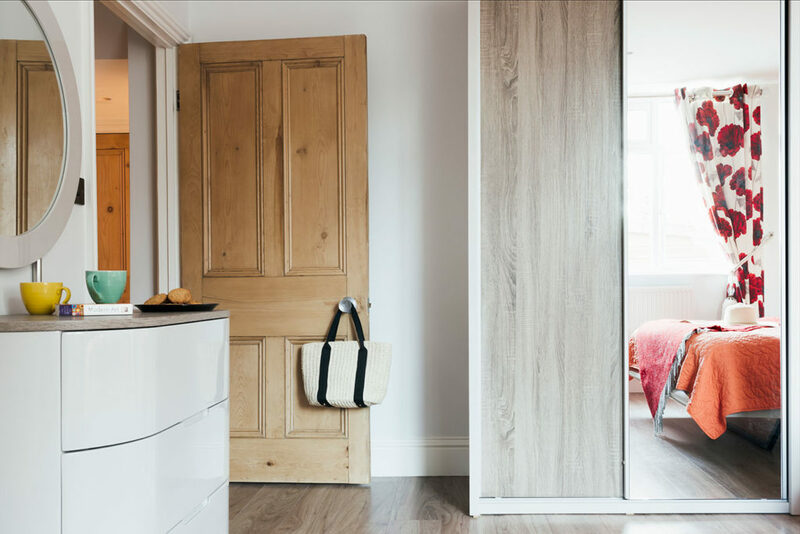 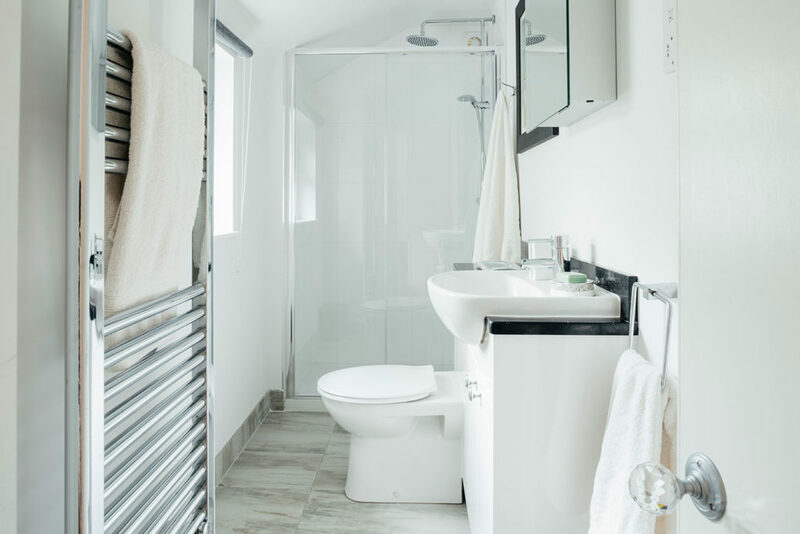 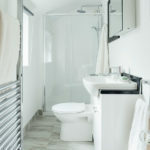 A visitors WC also sits off the hallway and last but not least two stunning ensuite bedrooms. 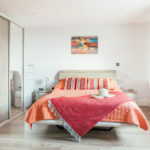 Each with a king size ‘floating’ bed, plenty of storage, large windows and both are of a very good size. 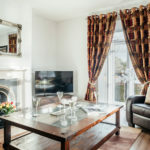 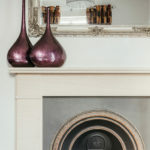 They’re our favourite rooms in the whole property. 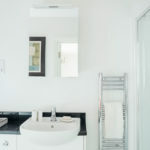 The ensuite shower rooms both have drench showers and good sizes shower cubicles. 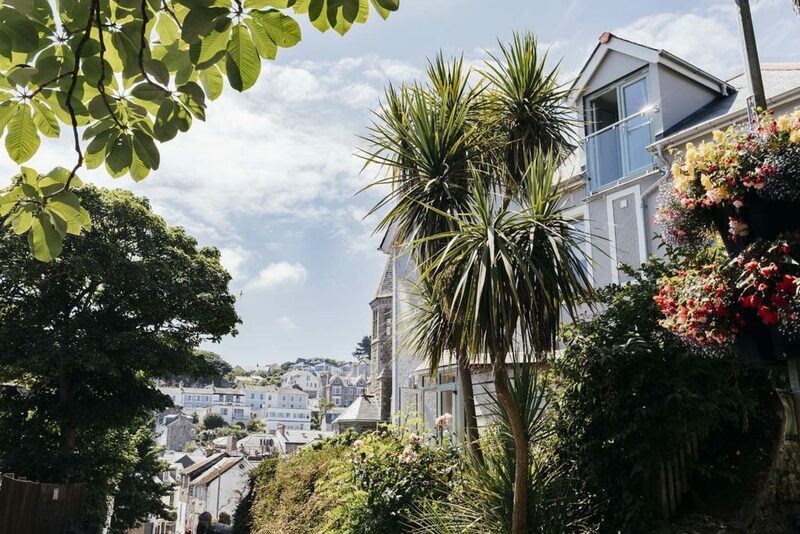 With dedicated parking outside and the centre of St Ives literally just a few steps away, you’ll be able to come and go very easily. 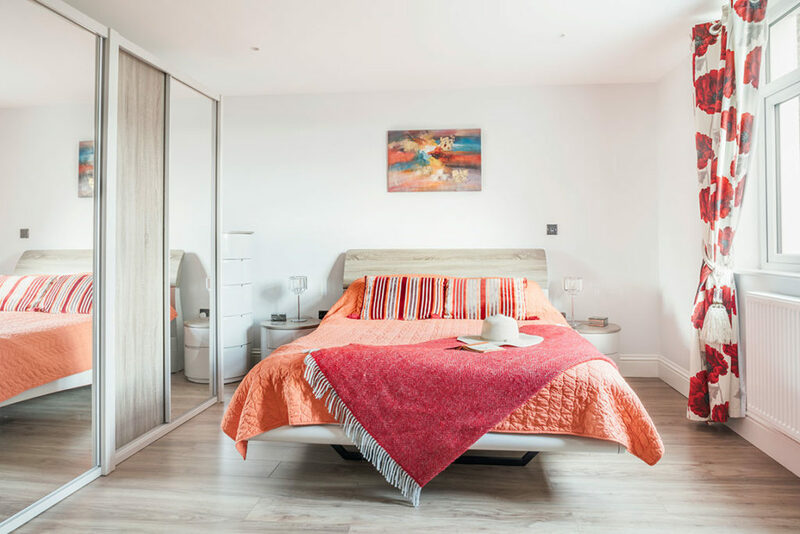 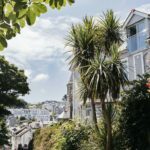 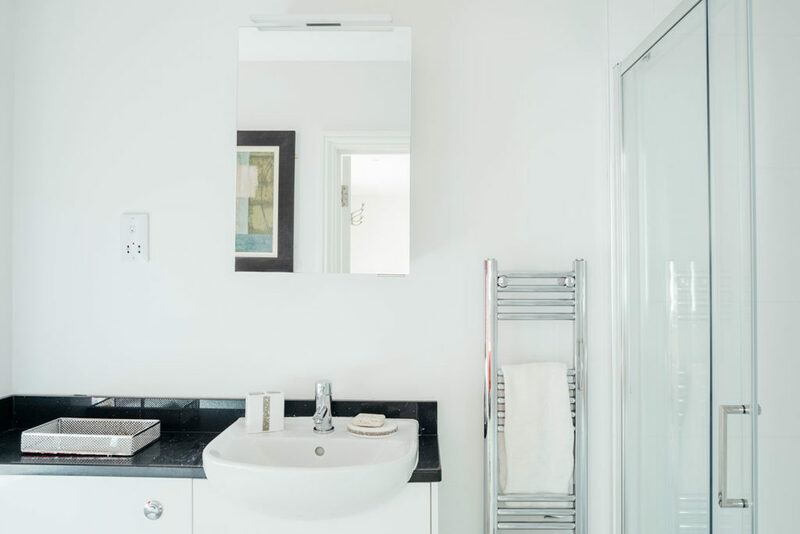 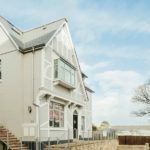 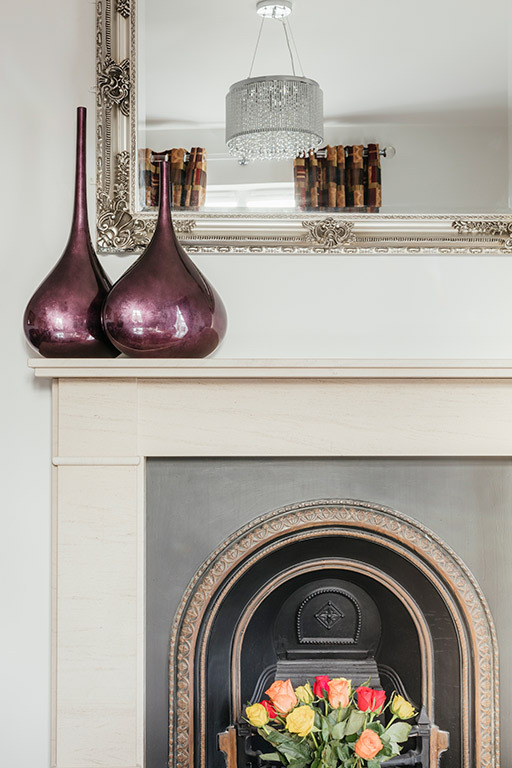 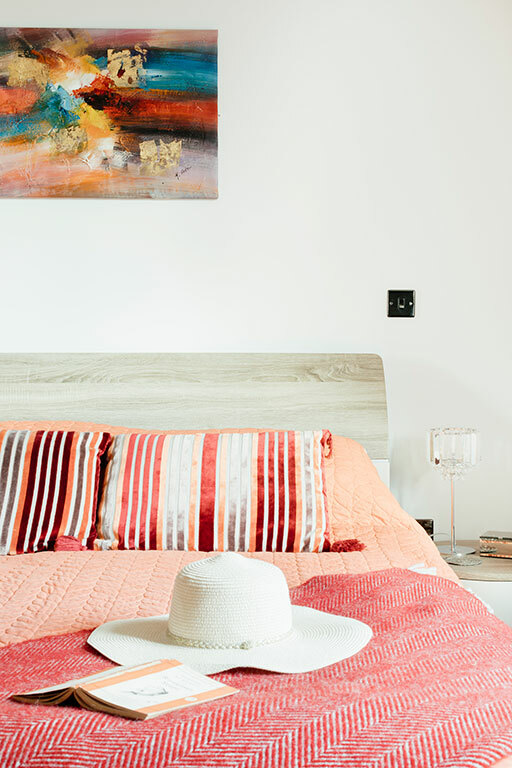 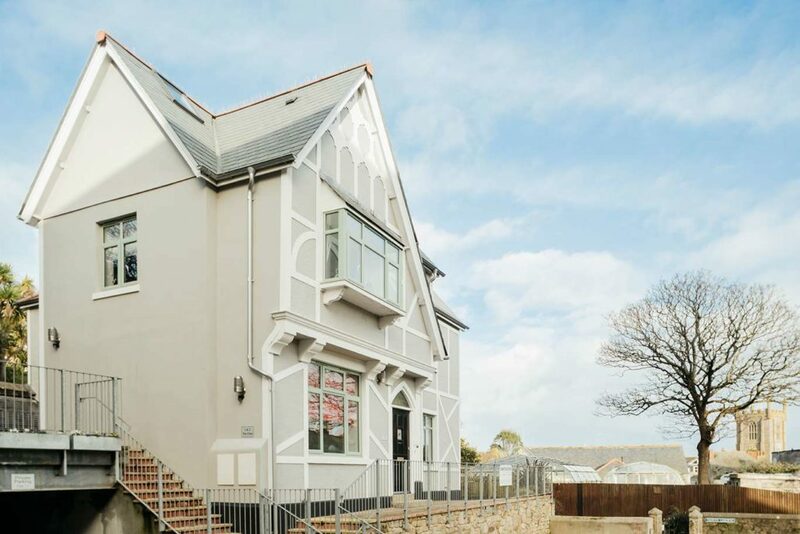 Set in a peaceful part of St Ives, set back from the main hustle and bustle, The Elms is a luxury development not to be missed.